LOCATION.--Lat 42°49'41.37", long 73°59'25.34" referenced to North American Datum of 1983, Schenectady County, NY, Hydrologic Unit 02020004, on right bank 330 ft downstream of Lock 8 on the Erie (Barge) Canal, 2.9 mi west of Schenectady. PERIOD OF RECORD.--December 2011 to current year (gage heights only). GAGE.--Water-stage recorder. 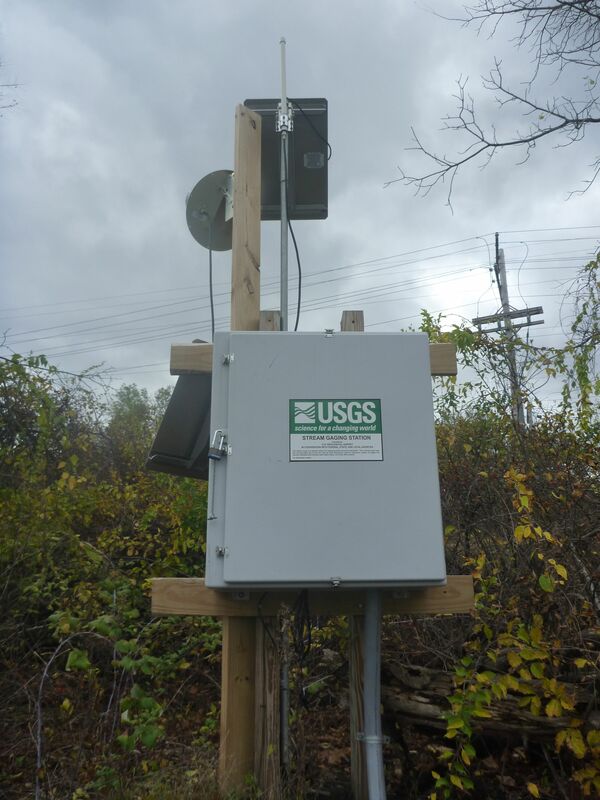 Datum of gage is 199.46 ft above NAVD of 1988 and 200.00 ft above NGVD of 1929 (VERTCON). Prior to Oct. 1, 2013, datum of gage was 199.61 ft above NGVD of 1929, not 200.00 ft above NGVD of 1929 as previously published. REMARKS.--Considerable regulation of stage by Lock 8 on the Erie (Barge) Canal about 330 ft upstream and Vischer Ferry Dam hydroelectric facility about 10.7 mi downstream. EXTREMES FOR PERIOD OF RECORD.--Maximum gage height, 24.22 ft, Jan. 13, 2014 (ice jam); minimum gage height, 8.64 ft, Apr. 27, 2015. EXTREMES OUTSIDE PERIOD OF RECORD.--Flood of Aug. 29, 2011, reached a stage of 33.02 ft, from floodmarks in downstream cabin of Lock 8 about 350 ft upstream, from information provided by New York State Canal Corporation.